Small, good-looking and with everything you expect from a mid-level camera. This is the Samsung NX300, which although not being too convincing design-wise, it’s quite inexpensive: less than 500 dollars. Despite the great results it offers and unquestionable quality, the picture quality the NX system offers may not be enough for users that are looking for something more. It’s November and we are testing a camera released during the beginning of the year, a clear sign that this is a system that goes at its own pace. Not being the one everyone is looking for can have its upsides: the price –it can be found for 497 dollars with most basic zoom- makes the Samsung NX300 more appealing than ever. Mid-level mirrorless cameras aren’t common, so it may be hard for the NX300 to not go unnoticed. By the way, this Samsung camera claims to be the fastest among similar cameras thanks to its 9 FPS speed, not to mentions its excellent 20-megapixel resolution. Enough to compete against the Sony NEX- 5T or the Panasonic Lumix DMC- GF6, for example, or to combat the latest and cheapest NX2000 –another Samsung camera-? Those are the questions that should be answered. Although available in several different designs, the brown version with a leather-like design is possibly the one that suits the spirit of the NX300 the best. Of course, its design is not the only classic-looking aspect about it. The wheel on the upper area is too small and inconveniently located. And despite having been changed for the best design-wise, it has some details we didn’t like, especially because we saw this as a serious camera. If the design is questionable and may possibly generate conflicting opinions, but it does have things we liked, like the mode dial, but if you don’t want to lose precious seconds reading the on-screen explanation of each mode, it may be better to disable it. This is, incidentally, one of the new innovations introduced with the 1.2 version of the camera’s firmware. The video button is too small but still prone to be pressed accidentally. It’s also not possible to disable it or assign it another function. The NX300 has its good share of shortcuts. In addition to the four back ones, the iFn button is one of the most practical and useful aspects about this camera. Combining this button with the mechanical focus ring or the camera’s dial, you won’t need anything else to control every aspect about your device. It also features a foldable OLED 3.3-inch touch screen. Besides being able of choosing the focus point, by pressing the Fn button on the back you can access a quick menu screen in which you can adjust the exposure. All of this with a very intuitive and well made graphics. With a burst mode of almost 9 frames per second (8.6 to be exact), the NX300 is considered the fastest of its class. It’s so fast, the buffer is unable to follow the pace. In fact, in this high-speed mode it is only possible to get a dozen of consecutive JPEG pictures or half a dozen in RAW. In other words, the burst mode slows down before you even notice it. You can opt for a more moderate speed (5 frames per second), but it still doesn’t improve much. This is definitely something to improve about this mid-level camera that’s supposed to compete against slower but stable models. A new feature of the NX300 from the previous generation is its 20- megapixel CMOS, although it retains the resolution of the previous model, it also integrates dedicated autofocus cells to provide a hybrid mechanism. This translates into a really fast system that would place it definitely among the most agile of its kind. Both in single and continuous focus modes, the camera responds very quickly and safely. Particularly remarkable is the smoothness of its continued focus, which is very helpful when dealing with video footage. Yes, as expected in the high-speed burst mode, the focus is fixed at the first frame, so it is unsuitable for some tasks. The NX300 features a 20.3-megapixel APS- C sensor, equally sized as the NX200’s. The processor has also been improved –at least theoretically- to improve the results. Reviewing samples collected with this camera, it is obvious that the image quality is not a problem here, though the improvements between this and previous generation models are very subtle. In regards to noise control, it offers more than acceptable results even beyond the 3200 ISO. The dynamic range is not the best there is, so activating the Smart + mode to optimize this value -or even better, to work in RAW– is a great idea if you want to truly see what the camera is capable of. We detected some over processing with JPEG files and interestingly they aren’t as vivid as you’d expect. In any case, this is nothing serious or that cannot be corrected by correctly adjusting your camera’s settings. For this test we used the zoom 18-55 mm f3.5 -5.6 OIS that comes with the camera and the smaller 20 mm f2.8. If your budget allows it, it’s a good idea to get the 30mm f2 lens for less than 250 dollars on amazon and convert the NX300 in a really easy camera to carry around. Let’s not forget the 3D 45 mm f1.8, which along with this camera is able to create snapshots and 3D videos. But is anyone still interested in 3D? But beyond classical performance, the NX300 has everything you’d expect it to have, like Wi-Fi and NFC connectivity. Those sound like standard features nowadays, but earlier this year, when this camera was released, it was a very innovative idea. The wireless connectivity can be quickly configured and accessed thanks to a dial and a quick access button. You can play around with all these options, but when push comes to shove and it’s time to do things that matter -like transferring photos to other devices and control the camera from a smart phone or tablet- it works perfectly. In regards to automatic modes and filters, it performs commendably, showing Samsung’s experience in this area. You can simply activate the Smart mode, choose a scene and let the camera do the rest. The NX300 also offers Full HD (1920 x 1080) video recording at 60, 30 and 24 frames per second. It has manual controls, but doesn’t support external microphones. It doesn’t have an integrated flash either, nor is it possible to use an electronic viewfinder, something that may scare away some potential interest in this camera. In regards to battery life, without abusing the video recording, we have managed to take 300 pictures with a single charge. Is the Samsung NX300 a good camera? No doubt this is an excellent choice is you consider both image quality as benefits. 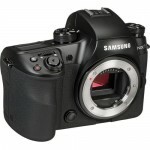 It is also very cheap, along with the 18-55 mm zoom you can get it for about 500 dollars. This is a good deal and makes this a very competitive camera. In fact, only the Sony NEX-5T can really compare to it, as it has a similar price and performance (although it is true that behind it is a brand with a more consistent photographic career). Still, Samsung is not a rookie company in this regard, so we must say the NX300 may not be what most users alike looking for. The commonly undefined philosophy behind the NX series can take a toll on the NX300. Everyone knows that the family sometimes gives many problems, no matter if the members are great by themselves. This is a very well done review.p, even if it comes very late, after about 8 months since the release of nx300. I’ve been using it for about 7 months, now, and before it, I had used both the nx100 and nx200. I have also many nx lenses, 20,30,45,60 and 85mm primes, plus 18-55,20-50 and 50-200 zooms. So I qualify as a nx ‘expert’ in some way. I like the system and have a deep knowledge about it. 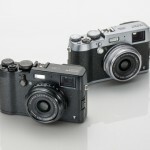 The nx300 is a big step forward compared to nx200. It added phase detection af, focus peaking, touch functions (my favourite are ‘one touch shoot’ and ‘touch to change af point’). Yet, it has a long road to become widely known and appreciated among photographer. Your last sentence in the review is very, very true. Many ppl will prefer other brands w/o even caring to have a look at nx300. Besides, the ridicolously tiny buffer (just 5 raw in continuous mode, that is half a second, more or less) and the lack of an evf are two ‘deadly’ flaws for seruious photographers. Imo, samsung has to listen to the needs of real photographers and not of gadget geeks. The galaxy nx, for example, is a terrible product for photographers. It has the same features of the nx300, plus android os on it, making it like a big smartphone with a big camera on it. But it has no physical controls (ouch!!!) and has a very old evf, not competitive with those found in other cameras, namely the oly omd-em1, pana gx7 and sony a7. So samsung seems to be moving in the wrong direction. To get some love to nx system it should manufacture a new camera (nx30 ?) with a new sensor giving better dr, on par or better than the best aps-c ones. But above all, it should have even better af than nx300, a much improved and higher res evf compared to galaxy nx, a huge buffer, comparable to that of omd-em1 and possibly ibis anspd weather sealing. All this in a nice looking body (rangefinder or mini dslr like) with a lot of well placed physical controls, ala fuji x-pro. And it has to have an attractive price from day 1, in the 1000$ range.